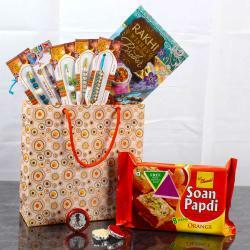 Product Consists: Ganesha Mukh Rakhi, Besan Ladoo (Weight: 200 Gms) along with Packet of Roli Chawal. 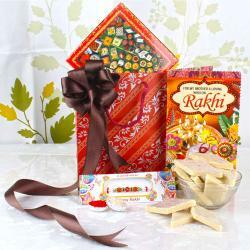 You will fall in love with this amazing Rakhi combo for your brother on the auspicious occasion of Raksha Bandhan. 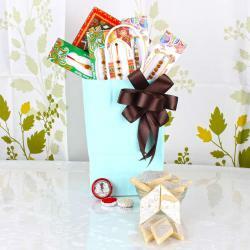 This is a Rakhi fit to be displayed on your brothers wrist with aplomb. 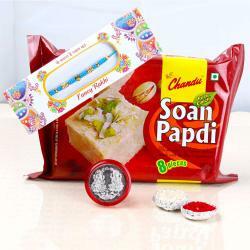 This combo also contains Roli chawal which keeps the traditional element alive in addition to mouthwatering ladoos which is known for its spectacular taste and yummyness. 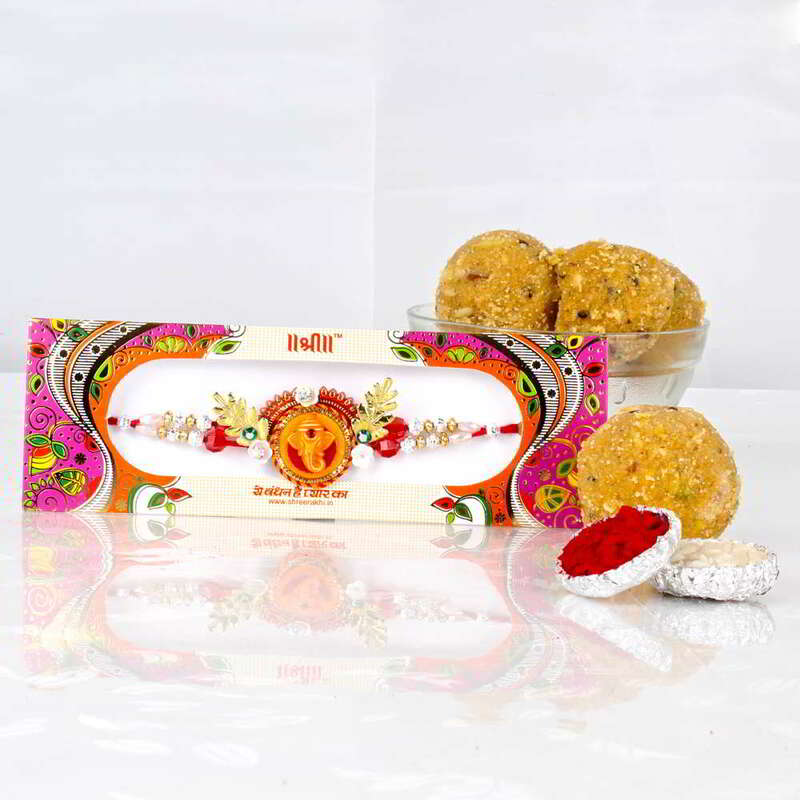 This beautiful Rakhi Combo includes: Ganesha Mukh Rakhi and Besan Ladoo (Weight: 200 gms) along with Packet of Roli Chawal.